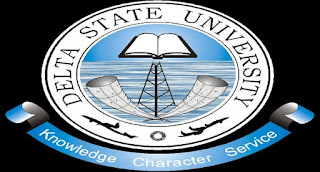 Delta State University, [DELSU] Full Time and Part-Time Postgraduate Programme [M.Sc, PhD, PGD] Admission Form, Courses, Admission Requirements, Application Guidelines for 2019/2020 Academic Session. 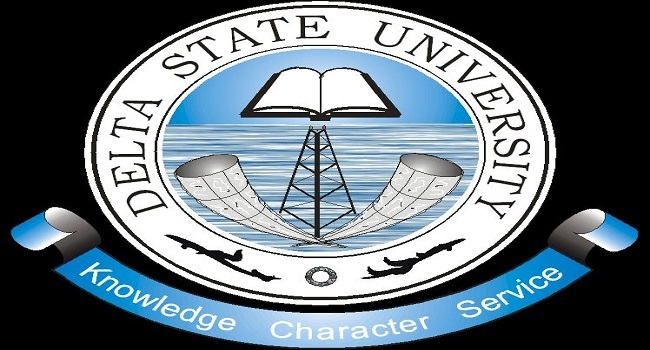 The Delta State University (DELSU) has commenced sales of admission forms into the postgraduate programmes (Postgraduate Diploma, Professional Masters, Academic Masters and Doctor of Philosophy Degrees) for the 2019/2020 academic session. Candidates for postgraduate studies must have a degree or its equivalent from a Senate-recognized institution. They must have also obtained at least five (5) credit passes including English Language and Mathematics in WASC, NECO, GCE (Ordinary Level), or NABTEB at not more than two sittings. Pass in English or Mathematics is not acceptable. Also, ACE and TC II are not acceptable. (No equivalent to WASC, NECO, GCE or NABTEB). Please note that there will be no waiver for anybody seeking admission into any of the programmes. Candidates are required to visit www.delsuonline.com and complete the Delta State University, Abraka 2019/2020 PG Admission Form online and to also generate an application virtual pin of N31,000.00 (thirty-one thousand naira) only. Transcript of all previous qualifications obtained: WASC; NECO; GCE or NABTEB Certificate (not TC II). Candidates should submit the hard copies of their applications along with other relevant documents at the Postgraduate School Office, Abraka on or before July 31, 2019. List of those offered provisional admission into any programme will be published in the Postgraduate School at Abraka Campus. Screening of provisionally admitted candidates and payment of fees will commence immediately thereafter and end on August 23, 2019.